Divorce FAQ: How Long Does the Process Take? Filing for divorce isn’t something anyone does lightly, but when you’re in the middle of the process, it’s natural that you just want it to be over. How long it takes until you’re officially divorced from your partner depends very much on your personal situation. In theory, you could get divorced within a month if your current spouse doesn’t contest the divorce and you have agreed on all the major and minor points. Most cases take several months, but a high-asset divorce with minor children can even take a year or longer. The ideal divorce would be an uncontested divorce, where both parties reach an agreement. Considering that you would have to agree on how to divide your assets and debts, who will get custody of the children, and how much alimony and child support the non-custodial parent pays, that’s a lot to ask for. Often divorcing couples don’t agree on most of these things, which is one of the reasons they’re getting divorced in the first place. The first step to getting a divorce is to work on a written settlement agreement. Your attorney will help you go over all the matters that must be decided before you can be granted a divorce. If your spouse doesn’t agree to the plan, it’s your attorney’s job to work it out with your spouse’s lawyer. 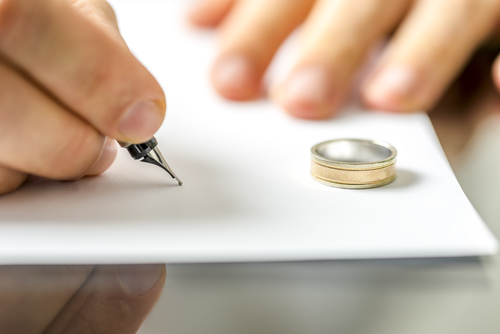 It’s quite likely that your spouse will have their lawyer write up another written agreement, and hopefully, it’s not too far off from what you want. The dissolution of a marriage will likely include several matters that must be negotiated. Whether you’re fighting over who gets to keep the family car or how much child support the non-custodial parent should pay, your attorney will have the role of a mediator and facilitator. If an agreement can’t be reached by mediation, the last resort would be taking the matter to court. Depending on the court’s schedule and the details involved, this could substantially draw out the process of your divorce. Your attorney plays an important role in the process and can make the divorce go more smoothly. At The Harr Law Firm, we’ll be happy to assist you with your case and estimate how long it might take until your divorce is final. Give us a call or use our contact form to get in touch with us!